Nikon has signed a licensing agreement with WiLAN Inc., thereby gaining access to an extensive portfolio of wireless technology. WiLAN boasts an impressive collection of patented inventions and counts Cisco, Panasonic, Samsung and RIM among it's current licensees. The terms of the agreement are confidential, but it's no secret that the deal will result in some form of improved and embedded wireless functions making their way into the camera maker's next generation of digital imaging devices. New version of the popular, free Annotate! image commenting software available. Version 1.05 include features such as direct email from application to share your annotations and a new export layout feature. Annotate! is non-destructible, storing all comments in the EXIF portion of the JPG header. Download Annotate! The Community Edition, V1.05, of the Annotate! 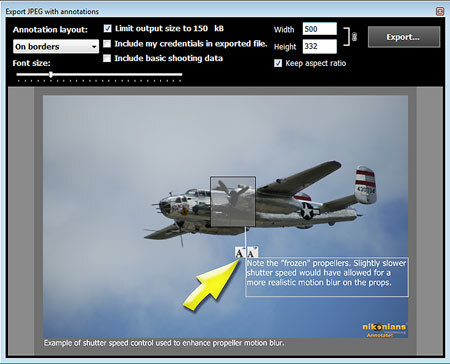 software is a new, free version that allows you to use it even if you are not a registered Nikonians user. Should you have installed a previous version of Annotate! such as V1.04 or earlier, then it is recommended to manually remove that version from your system, since the Community Edition will not automatically remove that application when being installed. Annotate! is currently available for MS-Windows users only. We are aware of that many Macintosh users would like to use it as well. We are going to launch a Mac OS X version of Annotate! but a final launch date has not been set. 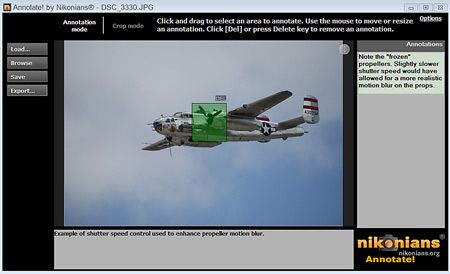 Download the photo commenting software Annotate! onOne Software launches Plug-In Suite 5, encompassing some of the most popular and latest add-on photo editing programs at very aggressive pricing. The collection of plug-ins includes Genuine Fractals 6, Photo Tools 2.5 Pro, Photo Frame 4.5 Pro, Mask Pro 4.1, Photo Tune 3 and Focal Point 2. The Suite also features compatibility with Photoshop CS2 to CS4 and will run on Mac Snow Leopard and Windows Operating Systems, the latter with 64-bit Support. Four of the plug-ins are will fully integrate with Aperture 2 and Lightroom 2. If purchased separately, this package would nominally cost USD1299. onOne is also offering an immediate USD200 discount, bringing the Suite down to an aggressive pricing of USD399. The Suite is expected to hit shelves in early November. Pre-order your copy today at OnOne Software. Annotate version 1.0.5 is now available for free download. This free software enables you to make notes directly on images without having to edit the images themselves. The program is very easy to use and is designed to help you share image critiques, or for teams working jointly on images such as in publishing or architecture. 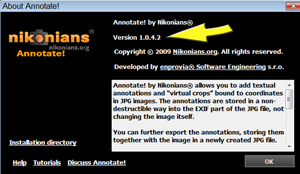 Annotate allows you to add textual annotations and "virtual crops" bound to coordinates in JPEG. The annotations are stored in a non-destructible way into the EXIF part of the JPEG file and do not change the image itself. If you have already downloaded Annotate, you can check which version you have by pressing your F1 key. You will see the version near the top, and you will also see (near the bottom of the screen) a handy link for Annotate tutorials. — The software now displays a splash screen upon startup, highlighting new features for each new version. For more information, don't forget to check join the discussion that has been helping to shape this software thanks to our community members who are sharing their experiences. The 1.0.4 version of Annotate! by Nikonians® had issues with 64-bit versions of Windows operating systems. The 1.0.5 version fixed those issues. Congratulations to Silver Nikonian Tammy McBrien (duffergirl) of Ontario, Canada for winning the September segment of our Best of Nikonians - 2009 Images Photo Contest. 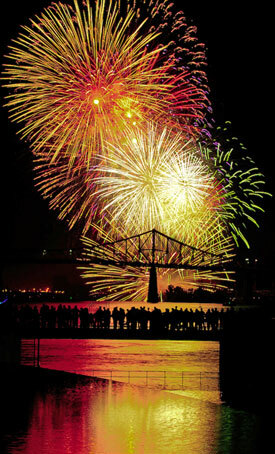 Tammy's photo, entitled "Fireworks Festival Montreal" was captured at the L'International Des Feux Loto-Quebec - Montreal, Canada with her Nikon D300 and AF-S DX VR Zoom-NIKKOR 18-200mm f/3.5-5.6G IF-ED lens. It was late in the evening. I managed to get a tripod set up which was difficult as there were so many people in the crowd. I was initially disappointed that I could not get closer to the fireworks but once I started shooting I realized that I could capture the crowd watching the fireworks — and I really liked that depth and the ability to capture the entire event from a distance. It was a lovely clear evening. The fireworks display in this portion of the competition was put on by South Africa. I shoot with my D300 and my 18-200 lens aperture was f/13. The ISO was set to 200 and the focal length of the lens was at 56 mm. The exposure lasted for 1.3 seconds. My camera was mounted on a 25 year old, creaky, aluminum tripod. The head was propped up straight with a wine cork. I have since replaced it with a snappy carbon fiber model. Tammy's concern about that crowd in the foreground turns out to be a big factor in her winning formula. The contest judges praised her ability to capture the crowd as well as the fireworks display. As her prize, Tammy will receive from Think Tank Photo a Speed Racer™ Camera Beltpack. For our Silver, Gold and Platinum members, all you need to do is have a quick look at our Rules and Guidelines and make sure you know we only have three months of eligibility left (with one ending this week). Our October contest segment is currently under way (last entry date is October 31.) The main subject for October is a "People" scene. The longest size of the photograph must be between 900 and 1024 pixels. If you want to check out some great images already in the running for top honors in the "People" theme, check the October entries already entered in the competition. Looking ahead for your final two shots at earning the Best of Nikonians - 2009 Images Photo Contest crown — the November segment theme is "Night Sky" and the final segment in December will be your opportunity to show us "My Best Shot." Silver member Lori McEathron (McEathron), — winner of our fourth week in the Nikonians Welcoming Photo Contest - Phase IV with "Venice of the East." Fans of both Nikonians.org and Facebook can now check in with us for the latest news from either source. Silver, Gold and Platinum members have a new discount available through their personal Nikonians Rewards coupons and vouchers section. 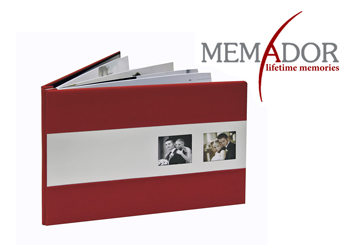 Memador Photo Albums can be purchased through a special Nikonians Silver, Gold and Platinum discount (some up to 40%). Memador, formerly ProAlbum est. 2004, winner of the DIMA (Digital Imaging Marketing Association) Photo Book Showcase PMA 2008 convention, specializes in the design and creation of classic, prestige albums utilizing the latest technology. Memador albums are created "on demand" which means that there are no minimum orders to place. Each album is treated as a special customer order. Memador has several printing facilities, distribution centers and industry partners such as General Products, TAP and others around the world. For details on the Nikonians discount, check your User Menu and proceed to the Membership Tab to find the Vouchers and Coupons section. Or just make sure you are logged in and click this link to go directly to your Nikonians Rewards Page. 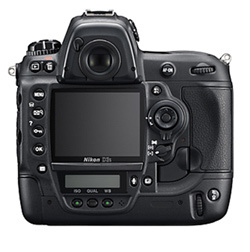 Nikon has made additional full-size sample photos from the new D3S flagship DSLR available for scrutiny. See the samples here. Adobe has posted a version of PhotoShop usable on the iPhone. The new program is sure to be a hit with the rapidly growing base of Apple device users. 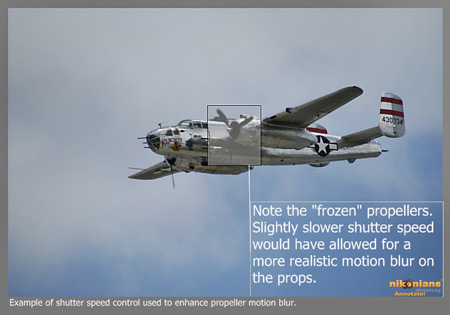 Using the popular finger gesture interface, users can crop, rotate, apply effects, adjust color and more. 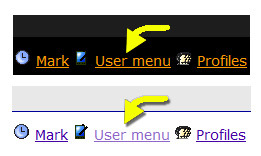 As a plus, users can also load their images up to their Photoshop.com account for web publication or to ensure backup. Get the free mobile app here. 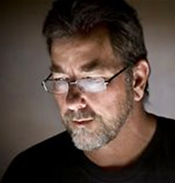 Today on News Flash Extra, Ray speaks with photographer David Tejada, noted innovator in the use of small strobes. David leads workshops on the topic for the Nikonians Academy. David's Professional Lighting on Location with Nikon CLS two day workshop will be coming to Philadelphia on November 3rd, and San Diego on December 1st. Nikon has announced their new Nikon D3S, which adds astronomical ISO sensitivity and a host of other features to the already established FX-format D3 — and a new medium telephoto; the AF-S DX Micro NIKKOR 85mm f/3.5G ED VR lens. The new Nikon D3s takes low-light photography to a hard to imagine effective ISO range of 102,400 (yes, six-digits). • $5199.95 estimated selling price (availability in late November). While the pixel size and count that served the D3 were maintained to deliver the pinnacle of image quality, dynamic range, phenomenal tonal gradation and outstanding color, other aspects were engineered to add versatility through broader low-noise ISO sensitivity. Individual pixels measure a large 8.45 microns, which support enhanced sensitivity to light and other qualities leading to superior image fidelity. The D3S captures light and renders images in a way that no other Nikon camera has yet to achieve, with a higher signal-to-noise ratio and an unmatched dynamic range for both stills and HD video throughout its broadened ISO range. 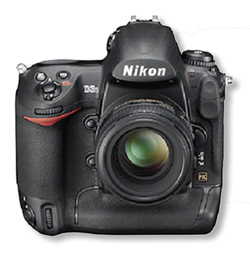 Our good friends at LetsGoDigital have posted a hands on review of the new Nikon D3s by editor Dennis Hissink. Click the LetsGoDigital logo for the English version of his review. 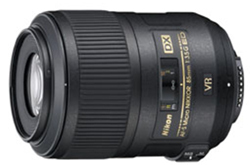 The new lens added to the DX inventory is the AF-S DX Micro NIKKOR 85mm f/3.5G ED VR. This medium telephoto lens is designed for extreme close-up photography and Nikon's Press Release adds it is "perfectly suited for portrait, nature, and general imaging as well." 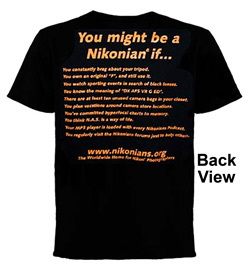 Take advantage of your Nikonians User Menu Invitations tab to earn one month of added membership privileges for you and a membership discount for a friend. You will have the extra month added to your membership, and you can receive even more months added for each person you refer to Nikonians who signs up for at least a Silver membership. The person you invite receives a 5% rebate on the membership he (or she) selects to sign up for. Open the "Invitations" tab and you will see the "Generate voucher" option. The voucher you create will be good for 14 days and you can send it via email by clicking the "Send invitation link" or printing it out. As soon as the voucher has been used by the invited person, you will see that indicated in the column marked "Used". The voucher is only valid if applied to a first time registration without any existing account. Congratulations to Silver member Lori McEathron (McEathron), of Suzhou Jiangsu Province, China — winner of our fourth week in the Nikonians Welcoming Photo Contest - Phase IV. 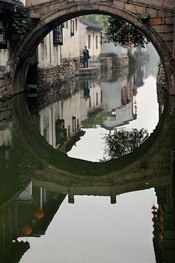 Lori tells us Jiangsu Province in southeast China is known as the "Venice of the East" and her winning entry bears the same title. "The numerous watertowns are quaint and peaceful, promising the simple life and quiet times. I enjoy bringing foreign guests on boat rides through the canals of Zhou Zhuang, propelled by a single, polished oar gently moving back and forth in time with the mournful Chinese ballad sung by the oarsman. Priceless." The photo was taken with her Nikon D300 and AF-S DX VR Zoom-NIKKOR 18-200mm f/3.5-5.6G IF-ED lens. Her aperture was f/7, with a 1/200th shutter speed and the camera set to ISO 200. Lori will be receiving a Photoshop Bundle by Topaz Labs (currently valued at $149.99 USD) for her winning entry. 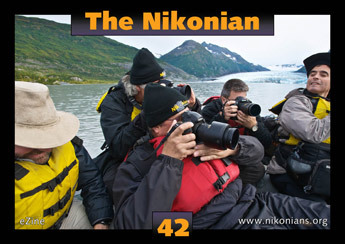 Our newest edition of The Nikonian is now ready for download. The Nikonian is our official publication, the electronic magazine, eZine, for Nikon© photographers. For a look at our previous editions, check our eZine archives.